The Scottish Liberal Democrats have announced their list of MEP candidates for the forthcoming European Parliament election. Sheila Ritchie - A solicitor and former leader of Gordon District Council and Convener of the Scottish Liberal Democrats tops the list. A life long supporter of the European Union, Sheila spent two decades supporting small businesses in the Aberdeen area through her work with the Elevator scheme, Enterprise Trust and Business Gateway. Fred Mackintosh - Edinburgh based human rights lawyer and advocate and a former councillor at Edinburgh City Council is also standing. Catriona Bhatia - Former Deputy Leader of Scottish Borders Council and daughter of Liberal Democrat peer, Lord Steel, Catriona Bhatia will be standing as a candidate in the forthcoming election. John Edward - Director of Scottish Council of Independent Schools and previously the head of office for the EU Parliament in Edinburgh and chief campaign spokesperson for Scotland Stronger in Europe. Clive Sneddon - Former Leader of North East Fife District Council and local government representative in Europe, Clive previously stood as a Lib Dem candidate in 2017 for the Westminster constituency of Angus. The Scottish Labour Party has announced its list of candidates who will take part in the forthcoming EU Parliament election. Top of the list is David Martin who has been an MEP since 1984 followed by Jayne Baxter who was a member of the Scottish Parliament from 2012 to 2016 representing the Mid Scotland and Fife region and Craig Miller who currently works for Richard Leonard, Leader of the Scottish Labour Party and was number five on the Mid Scotland and Fife regional list during the 2016 Scottish Parliament election. The other three candidates are : Amy Lee Fraioli, Calum O’ Dwyer and Angela Bretherton. The Independent Group: What does it mean for UK politics ? After weeks and months of speculation, Chuka Umunna, Chris Leslie, Luciana Berger, Mike Gapes, Angela Smith, Ann Coffey, Gavin Shuker, Joan Ryan and Ian Austen all resigned from the Labour Party citing a culture of bullying, intimidation and a lack lustre effort over the party’s stance on Brexit. Last week’s split has resulted in many political pundits and commentators making comparisons between the current split and the split that resulted in the formation of the Social Democrat Party in 1981. So, what does this mean for UK politics? Although they say a week is a long time in politics, it’s too early to predict what is likely to happen, but the main difference between last week’s split and the split in 1981 is that it affects both the Conservative and Labour Party. Like the SDP, The Independent Group has spoken about politics being broken and the dominance of the two main party structures coming to an end and politics as we know it no longer fit for purpose. Critics of the Independent Group have said like UKIP the new group is a one-party issue, and once that issue is resolved, the independent Group will be irrelevant. However, that may not be the case and both Chuka Umunna and Heidi Allen have spoken about the bigger picture and the need to offer the electorate something more and better. Arguably, this is in line with the mood of the country and the electorate, who for some time have felt politically homeless and disillusioned with UK politics. There is no denying that the political narrative in the UK has been overshadowed by Brexit and the ongoing constitutional crisis the country finds its self in, with important domestic issues being cast aside, but if the Independent Group is to have any longevity it will need to adopt policies that not only resonate with the British public, but also offer hope and incentivise people to vote for a new party and split with traditional ties. Diversity in the construction sector; It’s been a steady discussion that has spanned the last ten years. We’ve heard of incremental movements happening worldwide to create gender equality and break barriers, but how far has the progression benefitted women in the workplace? The UK still maintains the lowest percentage of female engineers in Europe, with just 11% of the engineering workforce being women. Studies suggests that women fear a lack of career progression by entering the trade, which may be a result of the industry’s leading authoritative figures being men. This may explain why less women apply to the industry or companies struggle to maintain female employees’ long term. This is reportedly a big problem for companies who are trying to resolve the issue. The introduction of gender pay-gap reports has created a pressure for companies to address equality within their organisations. This has helped fuel the discussion of women in the workplace and places a spotlight on male-dominated industries such as the construction sector. Balfour Beatty has taken a leadership approach to the issue in the aim to inspire and recruit like-minded behaviour by others in the industry. In a recent statement, the company exclaimed “the (gender equality) issues also go far wider than the industry itself. Tackling them will require a joined-up approach from the industry, Government and commissioning authorities, beginning with children at primary school and continuing throughout education and training and in the workplace”. The company continued to put their thoughts into action by creating several initiatives to tackle the issue, such as unconscious bias training, encouraging women to sign up to the Young Women’s trust to gain access to construction apprenticeships, and also created an industry campaign to improve women’s retention and progression. Other improvements across the industry are coming to light. In 2015, the construction industry witnessed a 20 year high of females being employed, since then its being growing 6.6% each year. The benefits of equality in the workforce are being seen across the construction industry. The 2015 Mckinsey report showed that companies with gender-diversity were performing 14% better than non-diverse companies. Furthermore, it was proven that with a more diverse workforce this resulted in a larger pool of talent with different employee’s bringing different qualities, mindsets and skills. It unlocked an abundance of potential for innovation as embracing diversity and working in unison with different mindsets accumulates a powerful tool that companies should embrace. The recent pay gap report issued by Cala Homes shows a remarkable effort from the housing industry to address and resolve the issues. Last year, 84.6% of female employees received a bonus, whilst 70.6% of male employees received one. Not only does this show Cala’s dedication to recognising and appraising the success of women in the workforce, but also takes steps to tackle the previously mentioned issue of retainment through fears of lack of career progression. With figures such as these, the construction industry is a much more desirable option for females to enter. Construction giant Mclaughlin and Harvey stated that women are under-represented in the industry is due to the lack of interest in STEM fields (science, technology, engineering and mathematics). In their 2017 corporate annual report, the firm stated “We actively work with secondary schools before the students choose their subjects, making them aware of the exciting opportunities and wide variety of job roles within the construction industry… Our focus is on encouraging more females into careers in STEM disciplines through our educational partnerships using females already employed in the business as STEM Ambassadors in our local schools.” This is a pivotal step in the reconfiguration of mindset in the industry. To conclude their efforts, they rounded the discussion with a commitment to building a more diverse workforce and develop new initiatives to improve how they attract, engage and develop women, and other under-represented groups. By combining Mclaughlin and Harvey’s approach to encouraging STEM subjects to equal genders, and Cala’s approach to employee retention, the future of females in the construction industry looks bright. Looking ahead to the future, the main factor that requires attention from the construction sector and public alike, is the mindset and attitude towards women in the workplace. There needs to be a shift in discussion where women can play the same roles as men, and the noun of certain roles (engineer, mechanic, builder) is not associated with one gender or another. World globalisation has increased competition and pressure for companies to innovate rapidly. Gender equality produces a wider talent pool and provokes a different thought process when making decisions, ultimately shaping companies to perform better when it comes to the future of their business. Constitutional matters have always been an issue for the Labour Party. During the Scottish independence referendum in 2014, the Scottish Labour Party’s self-endorsed tagline of “we are neither unionist nor nationalist” summed up the dilemma the party was facing. Move forward four years to 2018 and the UK Labour Party find’s its self in the same position. At this year’s Labour Party conference in Liverpool, delegates submitted a motion to debate the party’s position on Brexit, which resulted in delegates overwhelmingly voting to keep the option of a peoples vote on the table should there not be a general election. The prospect of a general election taking place in 2019 seems unlikely with most Conservative MP’s including the Democratic Unionist Party (DUP) likely to support Theresa May in the event of a motion of no confidence, and this is something that Jeremy Corbyn is aware of. The European Union has said that there will be no further concessions or renegotiation of the withdrawal agreement, which presents another obstacle for Theresa May in her quest to get the withdrawal agreement passed through parliament, with sources suggesting that Ms May could reach out to pro leave opposition members in order to get her deal passed. The Labour party’s message around Brexit is at best confusing and incoherent. John McDonnell MP, Shadow Chancellor of the Exchequer said, “a peoples vote is inevitable” and last Thursday Angela Rayner MP, Shadow Secretary of State for Education said, “a second vote would undermine democracy”. Andrew Gwynne MP, National campaign Coordinator for the Labour Party has suggested that the Labour Party will put it to members at a special party conference on the party’s next steps on Brexit. What will be on the ballot paper is another question, but the prospect of a special party conference further illustrates the dilemma that constitutional matters present to the Labour Party, and the lack of direction from the front bench, which is understandable given that there is a split between Labour MP’s who represent both leave and remain constituencies. 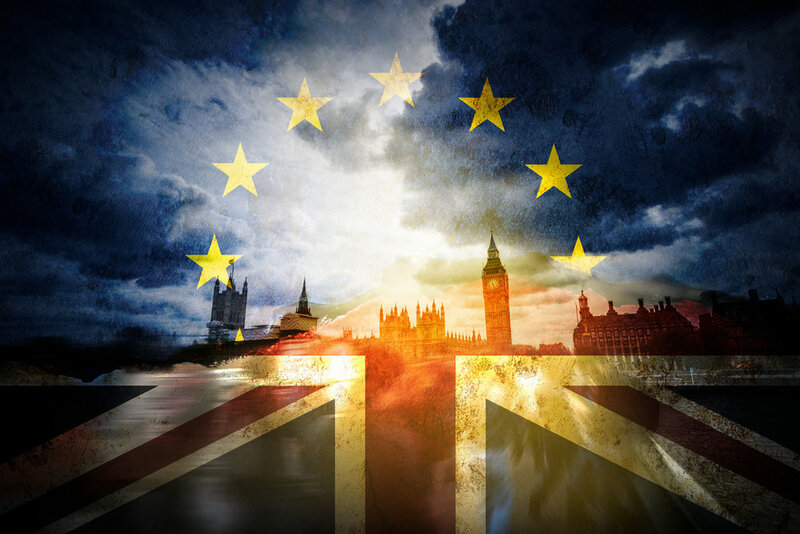 Whilst the referendum in 2016 was democratic, sometimes even democracy can get it wrong, and what people know about Brexit now is that it will have severe implications for the country. This debate can not be viewed in the context of a left v right struggle, but rather what is in the best interests of the country, and what is needed is politicians to have the conviction and the courage to do the right thing for the country and push for a second referendum, otherwise if Labour is perceived to be the facilitators of Brexit, it could have far reaching consequences for the future of the Labour Party. They say a week is a long time in politics, but the next five days will prove crucial for Theresa May as she aims to persuade parliament that her Brexit deal is the best deal for the country. So, what will the next five days entail and what could potentially happen? Today, the first order of business will be for the House of Commons to vote on the allegation that the government was in contempt of parliament as a result of the Attorney general not disclosing the full legal advice given to the cabinet on the EU withdrawal agreement. Advocates of the withdrawal agreement will say that this is a delay tactic by opposition parties, and those opposed to Theresa May’s plan would argue that given what’s at stake parliament needs to know what advice was given to the cabinet in order to make an informed decision when it comes to the meaningful vote which takes place on the 11 December. If the House of Commons vote that the government was in contempt of parliament, then the matter could, potentially be referred to the House of Commons Privileges Committee, who will investigate the complaint, whether that would delay the Brexit debate is largely unknown, but it is widely speculated that the government will table an amendment which could result in the government publishing the Attorney General’s advice to the government on the EU withdrawal agreement. The government gets the proposed withdrawal agreement passed through parliament, as protocol, it would go to the House of Lords to be debated, which could see further amendments being included and sent back to the House of Commons for a further debate before royal assent is given. The Labour Party has already indicated that it will table a motion of no confidence in the current government. For a vote of no confidence to be passed “a number equal to or greater than two thirds of the number of seats in the House” must vote for it. This is a real possibility given the numbers against the proposed withdrawal bill. The vote of no confidence would most likely result in a General Election, with parties likely to pledge a second Brexit referendum as part of their election manifesto commitment, but the question is, will remain be an option on the ballot. Tomorrow, all eyes will be on Philip Hammond, Chancellor of the Exchequer, as he delivers his third budget statement to the House of Commons, but this won’t be any ordinary budget announcement, it will be the last one the chancellor makes to parliament, before the United Kingdom leaves the European Union next year. Pentland looks at what we can expect from the forthcoming budget. Following on from Theresa May’s claim that “austerity is over” the pressure will be on Mr Hammond to come up with the necessary public spending to match that bold claim, with the Resolution Foundation suggesting that it will take an extra £30bn of public spending by the end of this parliament to end austerity. The dilemma for Mr Hammond is, does he choose to stick to the Conservative manifesto pledge to get rid of the deficit by 2025 or embark on increased public spending ? As a committed remainer, Mr Hammond has repeatedly warned of the serious implications for the UK’s economy in the event of there being a no deal Brexit. In August, Mr Hammond said “leaving the European Union without a deal could have large fiscal consequences” whilst the Institute of Economic Research suggests that the difference between a deal and no deal Brexit could be in the region of £30 billion. With the decline of Britain’s High street, there will be pressure on Mr Hammond to propose measures to reverse what many people believe to be the death of the High Street. It is widely speculated that Mr Hammond will announce a boost worth £1.5bn for the UK’s High Street, which will include plans to cut business rates for small retailers and relax town planning laws. It is also expected that Mr Hammond will announce plans to tax internet retail giants such as Amazon, amid speculation that internet retail companies don’t pay tax due to international tax loopholes. Whilst, this will be welcomed by high street retailers, Mr Hammond also stressed that the changing face of the UK high street as a shopping destination means that the high street must evolve with the possibility of empty retail premises being used for housing. It is rumoured that Mr Hammond could reduce the threshold for VAT payments by small businesses, from £85,000 to £43,000, which could potentially generate £1.5 billion in revenue for the government but won’t be a popular move with the 5.7 million small businesses in the UK. During the Conservative Party conference, Theresa May announced the end of the borrowing cap, which was welcomed by local authorities up and down the country. It is suggested that the amount of investment needed could total £1 billion per year, with borrowing likely to be under tight fiscal rules. Ahead of Jeremy Corbyn’s visit to Glasgow tomorrow, Pentland looks at the Labour Party and what we can expect from Jeremy visit to Glasgow. Three years ago, Jeremy Corbyn spoke with an air of authenticity that resonated well with a large section of the Labour Party membership, that resulted in him winning the Labour Party leadership contest with an overwhelming majority. Too many, Jeremy spoke a language of socialism akin to previous generations, in which he promised a new kind of politics, with greater party member participation, underpinned by the promise of straight talking honest politics. During his time as leader of the Labour Party, Jeremy has overcome a botched attempt to force him to resign as leader, accusations that he was a communist spy and won a second mandate as leader of the Labour Party after defeating Owen Smith in 2016. To the surprise of many and perhaps even Jeremy himself, the 2017 general election returned five additional Scottish Labour MP’s. So, what next for Jeremy? Tomorrow Jeremy will be in Glasgow addressing a delegation of Corbyn admirers, Corbyn sceptics and those who just don’t know but want to hear what he has to say. Given the 2017 election result its likely that Jeremy will talk about the failures of the Scottish government, the increase in Scotland’s inequality and Labours plans to tackle it by increasing tax on high earners as announced by Richard Leonard, Scottish Labour Leader. Given Jeremys reluctance to talk about Brexit, it will be interesting to see If he addresses the elephant in the room, which for many people will be the deciding issue on who they vote for in the next general election. Brexit for many people makes a reference to the biggest political topic of our time. Talking to the converted is an easy gig, but the real challenge for Jeremy will be extending that message to those that are Corbyn curious and getting them on board. In the last four years, Scotland has had two general elections, two referendums and a local council election, to say that people are suffering from voter fatigue is an understatement, but people are also fed up with political soundbites and weak words. A poll by YouGov last month predicts that Westminster voting intentions in Scotland would see a resurgence for the SNP and Scottish Labour losing the six additional seats that they won in 2017, resulting in the party having one Westminster MP. If the polls are to be believed, then the Labour Party in Scotland has its work cut out to convince the electorate it can deliver a radical alternative to the SNP. With party conference season just around the corner, now is the time to start thinking about putting together a plan of action to get the most out of conference. See what we do at Pentland, and how we differentiate ourselves from other communication companies.